If you like this free game, try Insider Tales: The Secret of Casanova. The luxury cruise ship, The Empire, is boarded by rich tourists, a world-renowned art-exhibition, and a thief. Soon the highlight of the exhibition is stolen and Francesca di Porta, the famous detective, is disturbed in her well-earned holiday to investigate undercover and prevent a panic among the passengers in Insider Tales: The Stolen Venus 2! - Visit beautiful Mediterranean locations like Crete and Palermo. 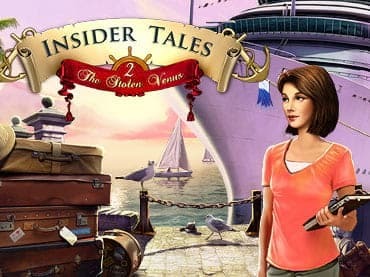 If you have questions about Insider Tales: The Stolen Venus 2 game, please contact us using this form.